A few of you were so sweet to comment on my seemingly sad week. Thank you! But it wasn't that bad. Yes, the Dodgers lost. Yes, Weezer sucked. But here are some lovely things that I had yet to share. 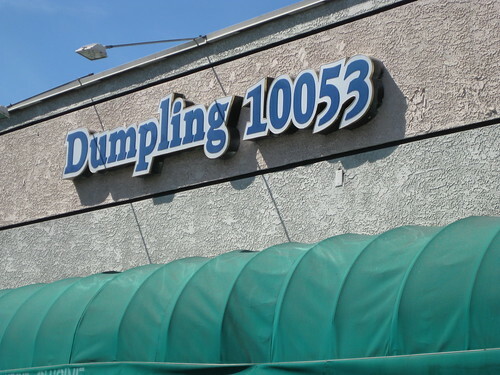 Some co-workers and I tried Dumpling 10053 (10053 Valley Blvd., El Monte). I don't understand the comparisons to Din Tai Fung. Apples and oranges, folks. 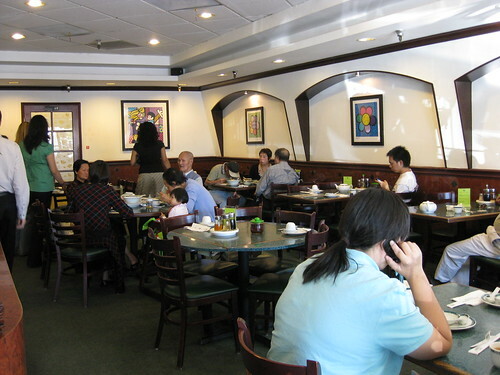 Din Tai Fung is known for xiao long bao. 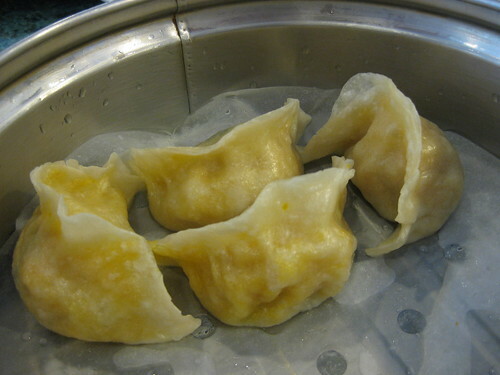 Dumpling 10053 specializes in jiaozi, including shui jiao (boiled dumplings), zheng jiao (steamed dumplings), and guotie (potstickers). Not the same thing at all! Thus, if anybody ever asks which you prefer, you can demonstrate your Chinese food prowess and proudly explain, "These restaurants don't even serve the same things, dumbass." The "dumbass" part is optional. Dumpling 10053 offers a wide array of options, including vegetarian-friendly versions, which turned out well for our friend Fooz. There are also beef versions, which worked perfectly for Giggles. 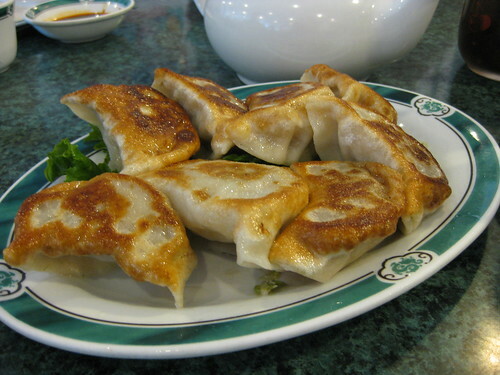 Dumplings for all! Fried pork guotie ($5.75 for 8). Golden brown and pretty delicious, but not nearly as scrumptious as the traditional long guotie at Mandarin Noodle House. 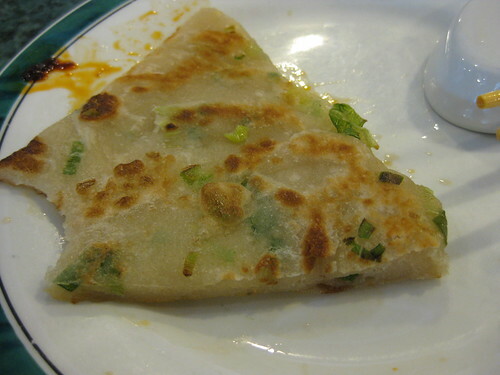 This sorry specimen of a scallion pancake was pallid and limp. Sad face. Boiled rock cod dumplings ($6.95 for 10). I found the fish mealy and bland. Skip! 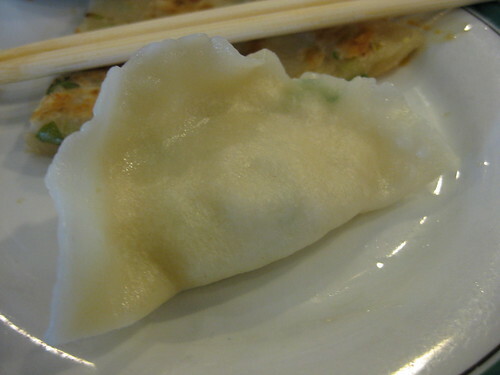 Boiled shrimp and leek dumplings ($6.50 for 10). Very good. Get these! 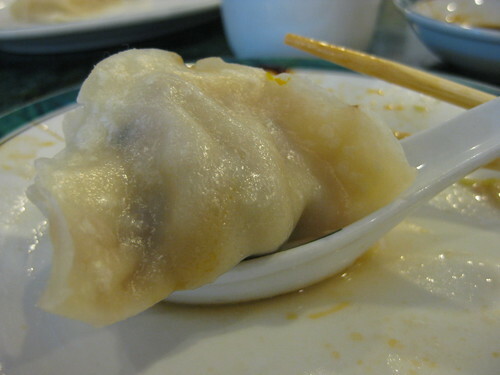 Steamed pumpkin and shrimp dumplings ($6.50 for 10). 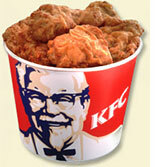 The best dish in my opinion. Rather creative and out-of-the-ordinary in Chinese cuisine. 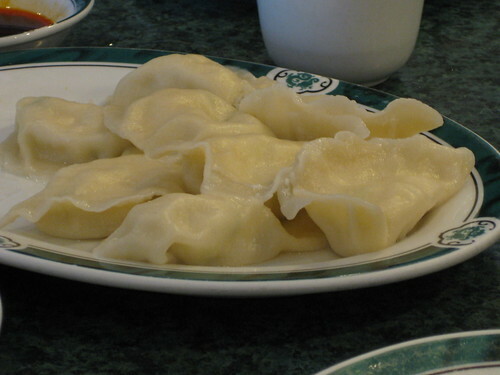 Steamed beef dumplings ($6.50 for 10). Fine for non-pork eaters, but not worth ordering for those who do dine on swine. Now on to the "divas" part of this post. Prim loves pizookies, so we went to BJ's for her birthday lunch. See? I do eat at chains sometimes. Before I get into pizookies, though, I must share a Prim outfit with you. These yummy chocolate suede Tod's boots were just $120. Original price? $1200! The sweater dress is from Target. Pretty neat mix-and-match. Here's Capri and her incredible Yves Saint Laurent downtown tote in a gorgeous rare blue. Let's all thank her (and Cate Blanchett and Salma Hayek and Jessica Biel) for stimulating our failing economy. Diva! 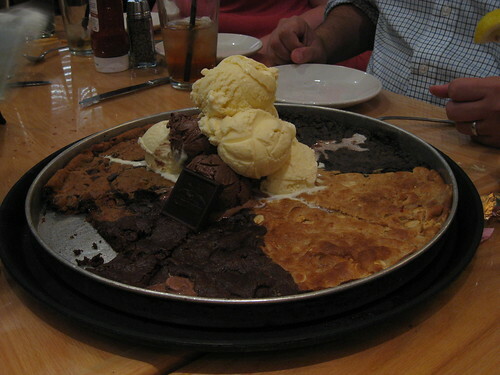 Here's a gigantic pizookie party platter in all its glory. I'm not sure what was more delicious -- the YSL bag or the pizookie. Oh, who am I kidding? I wanted to devour that YSL bag. Ooooh-this was a good week! Thanks for helping me celebrate! That bag brings tears to my eyes. So beyond gorgeous. The pizookie and dumplings are far more likely to happen for me :) Prim's outfit is way cute! Totally jealous. I spy, with my little eye, creepy bald guy with Salma Hay. Way too into Fringe thanks to you! that is a GORGEOUS bag. wow. and those tod's boots! they're so awesome! I am so in love with the YSL downtown tote, I am wiping the drool off my keyboard! 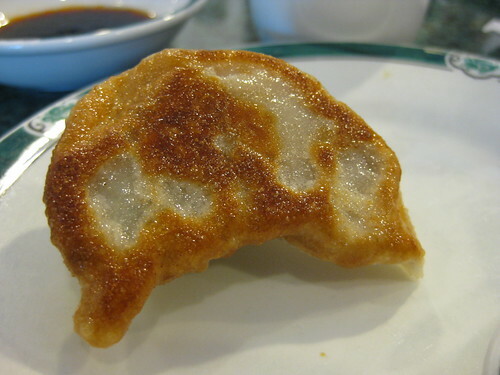 If there is a heaven, it will be filled with those dumplings. How does one go about finding $1200 boots for $120? Please tell Prim to share her shopping techniques. And that bag is sick. So jealous. Wowza wowza wowza to the stunning outfit AND handbag on display in this post. the boots, the bag and the pizookie! I wish I could be so stylish. but I might have to make a tarjay run soon. i likey your fashion friends!